O’REILLY: If you are going to say that the two Democrats running for president both favor pretty much abortion at any time, for any reason, and they hide behind the women’s health issue, but that could be a migraine headache, you know. OK, I don’t want to have the kid, my boyfriend left me, my husband left me, whatever it may be, I got a migraine, kid is going to be born next week. KIRSTEN POWERS: I don’t think that many people get abortions because they have a migraine headache. O’REILLY: It doesn’t matter. It’s theoretical. When you have two candidates saying they don’t want any limitations, alright, in the law place, alright, they don’t want any. And that can happen. We know it happened in Kansas, did that big investigation on Tiller, you know it happened there. And so that’s so radical and so far away from what the American people want that that’s just one example. That’s an awful lot of hyperbole when “we don’t understand the subject matter” would have gotten the point across just fine. The most obvious problem with the hysteria is that abortion advocates’ premise—“O’Reilly is generalizing about women’s motives and suggesting we’re so weak we get abortions for headaches”—is debunked in the same segment. It’s clear he’s not claiming women do get abortions for migraines at all, let alone frequently. He’s saying that the abortion lobby and its politicians think that a migraine would be a good enough reason to kill your baby, no matter how fully he or she has developed. And on that point, he’s absolutely right. 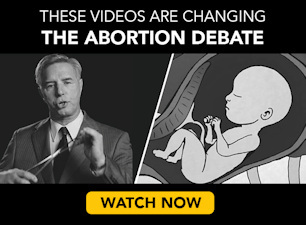 Both the candidates he referred to, Hillary Clinton and Bernie Sanders, have 100% pro-abortion voting records and position ratings with Planned Parenthood and NARAL that place them squarely in favor of abortion-on-demand at any time for any reason. They opposed banning both late-term and partial-birth abortion. Sanders expressly refuses to entertain any potential circumstance where the baby is so far along or the justification is so miniscule that abortion would cease to be “a decision to be made by the woman, her physician and her family.” Clinton may say she’s open to third-trimester bans so long as a health exception is in place, but (a) her voting record doesn’t back that claim up, and (b) this brings us to the second major way O’Reilly is right and his critics are wrong. [T]he medical judgment may be exercised in the light of all factors – physical, emotional, psychological, familial, and the woman’s age – relevant to the wellbeing of the patient. All these factors may relate to health. This allows the attending physician the room he needs to make his best medical judgment. So the Supreme Court mandates a health exception, but no objective criteria for what would or wouldn’t qualify. In other words, “health” in the context of abortion law can mean anything an abortion-friendly doctor wants it to. If health is broad enough to include anything that may be “relevant to the wellbeing of the patient,” even emotional or familial factors, then you can’t really find a clear principle—at least, not one rooted in Roe or Doe’s text—for why a migraine wouldn’t qualify. Some of the reasons may be more sympathetic than others depending on particular circumstances, but when weighed against the fatal sacrifice forced upon the preborn, the vast majority of abortions might as well be for migraines…migraines like the ones caused whenever abortion apologists freak out about Bill O’Reilly or anyone else pushing back against their narrative.